This is the most common type of intelligence. If you excel in reading and writing and love to give speeches, you probably have this type of intelligence. If you’re analytical, practical, and do well in subjects such as math and science, you’re probably smarter in the logical and mathematical areas of intelligence. This involves identifying patterns, using sequential reasoning, and relying on factual evidence and proven theories to solve a problem. Athletes, dancers, and surgeons are smarter in this field as they have to be in tune with both their mind and body to solve problems. People with this sort of intelligence have a profound understanding of humans and excel as psychologists, philosophers, or spiritual teachers. These types of people are very introspective and have a great understanding of themselves, which allows them to relate to others well. 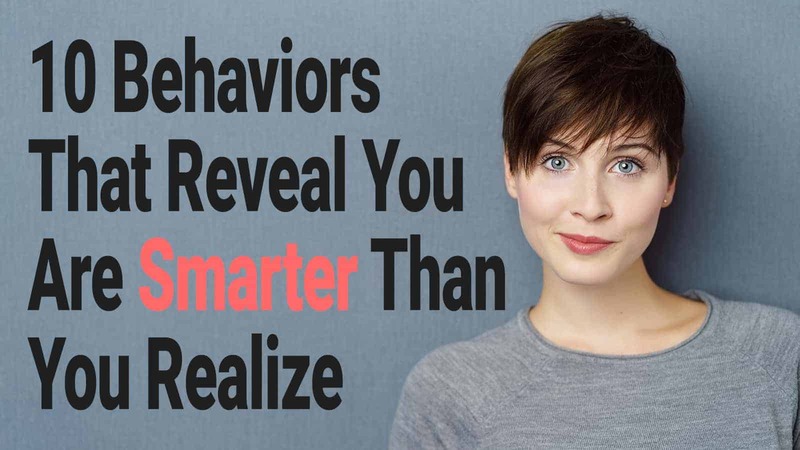 People who are smarter in this area of intelligence are typically extroverts. Instead of looking inward so much, these people draw their energy from others and love being around people. They connect with all types of people, using their communication skills to consider a variety of opinions and viewpoints. They make wonderful leaders as they know how to connect with others and guide them to reach a goal. Naturalists, as the name suggests, have intense curiosity and compassion for the world around them. They have a deep interest in plants and animals and love spending time in nature. These types of people make wonderful botanists, chefs, farmers, biologists, or anything that requires comprehension and compassion for nature. People who are smarter in this field make great philosophers, as they love to ponder the big questions of life such as how we got here, why we’re here, and what it all means. People who are musically inclined have the ability to demonstrate and understand various aspects of music, including playing instruments, singing, and composing. From a young age, these types of people show a keen interest and understanding of music and pick up on it quickly. They can differentiate between pitches and rhythms in a song and reproduce it easily. People who show this type of intelligence have a big imagination and see the world in a different way. They might have an interest in graphic arts and choose a career in painting, sculpting, or something else creative. These individuals have high levels of creativity and use that to bring the worlds in their head to life. So, now that you know about the various types of intelligence, we’ll go over signs that you might be more intelligent than you’re aware of. 1. You can focus on something for hours. A 2013 paper published in the journal Current Biology analyzed two small studies that discovered people with high scores on IQ tests had delayed acknowledgment of large background movements in an image. The studies suggest that the people in the study probably focused on the most important information in the image instead of noticing the bigger picture. If this sounds like you, you’re probably smarter than you realize. 2. You love staying up late. The smarter you are, the more likely you are to be a night owl according to research. One study, published in 2009 in the journal Personality and Individual Differences, looked at the connection between childhood IQ and sleep patterns among thousands of young adults. Researchers discovered that the smarter individuals stayed up later and woke up later than those with a lower IQ. Another study, published in 1999 in the same journal, found similar results when studying about 400 US air force recruits. 3. You adapt to new situations easily. Recent research shows that people who are smarter thrive easily in new environments. People with this trait know how to adjust themselves in order to fit in to new situations or to change the environment they’re in to feel more comfortable. 4. You know that there’s a lot you don’t know. Smarter people know that there’s so much out there that they still don’t know, yet they don’t let this intimidate them. In fact, this fuels their fire even more because they have a thirst for learning new things. One study by Justin Kruger and David Dunning, published in the Journal of Personality and Social Psychology, found that people with less intelligence overestimate their cognitive abilities. However, those who have higher intelligence often underestimate their abilities. 5. You are intensely curious about the world around you. A study published in 2016, in the Journal of Individual Differences, found that people with higher childhood intelligence had more openness to experiences later in life. Being more open to new experiences is linked to higher intelligence. In the study, researchers analyzed thousands of people from the UK for 50 years and discovered that 11-year-olds who scored higher on an IQ test were more open to new experiences at age 50. Expanding on the point above, smarter people keep an open mind. Those who consider many viewpoints and look at evidence logically tend to score higher on the SAT and other tests measuring intelligence. Smarter people also know how to filter out ideas and perspectives that they don’t agree with. They will consider all facts and opinions but don’t give them much weight unless valid evidence is presented. 7. You like being alone. Research shows that smarter people value their own company and tend to be more introverted than others. Research from the British Journal of Psychology shows that people with higher intelligence don’t get as much satisfaction from hanging out with friends. 8. You have great self-control. Research also shows that people with higher intelligence have greater self-control. In one 2009 study, published in the journal Psychological Science, researchers told participants to choose between two financial rewards: a smaller payout immediately or a larger payout at a future date. Researchers found that those who chose the latter option scored higher on intelligence tests, and therefore, had greater self-restraint. The researchers said that an area of the brain called the anterior prefrontal cortex might help people solve difficult problems and demonstrate self-control while trying to find solutions to reach their goals. 9. You have a wonderful sense of humor. If you know how to make people laugh, you might be smarter than you give yourself credit for. University of New Mexico scientists found that people with the ability to write funny cartoon captions scored higher on verbal intelligence tests. Another study the researchers did on comedians found that they tended to score higher on these tests as well. People with high levels of emotional intelligence are deeply in tune with how others are feeling, and how they’re personally feeling as well. People who are empathetic tend to be smarter when it comes to intra-personal intelligence. – You wait until the last minute to get things done. – You think about the bigger picture in life. If you constantly question the meaning of life and have higher levels of anxiety, you might be smarter than you give yourself credit for. Smarter people tend to have more existential crises because their view of why we’re here is always changing and coming under scrutiny. Because they don’t have a clear answer, they might feel anxious a lot about their purpose. They look at the bigger picture, which means they can see all the possible ways that something might go wrong. They might also have a problem doing something that they don’t see the point of or don’t agree with, which can further their anxiety and pondering about the universe. Did any of the points listed above describe you? If you can relate to most of them, you might be a lot smarter than you’re aware of. Of course, everyone is smart in their own way, so remember that next time you doubt your own intelligence.